Belgium’s region Wallonia has dealt a severe blow to European Union’s hopes to sign a free trade deal with Canada. The region’s President-Minister said he would not support the Comprehensive Economic and Trade Agreement or CETA by the Friday deadline. The deal has to be ratified by all EU’s 28 member states. However, Belgium cannot sign the agreement without the consent of its regional parliaments. Radio Sputnik discussed the CETA agreement with Michel Chossudovsky Professor of Economics at the University of Ottawa, Founder and Director of the Centre for Research on Globalization. 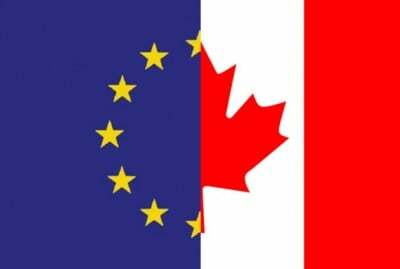 “This is not a bilateral agreement between Canada and the EU. It is a […] mechanism for the integration of NAFTA and the European Union into what might be called the North Atlantic trade and investment organization which would literally integrate North America and the European Union from the point of view of trade and investment,” Chossudovsky told Sputnik. 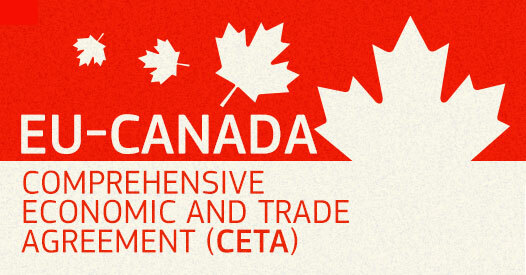 CETA is said to offer better business opportunities for EU firms in Canada and create more jobs. However opponents of the deal say that CETA as well as TTIP, which is another trade deal that EU is negotiating with the US, will lower the bloc’s food, health and safety standards, while at the same time allow American and Canadian corporations to sue EU governments for alleged discriminatory practices under ISDS or Investor dispute settlement. According to Chossudovsky, US and Canadian economies are closely intertwined and therefore CETA can be considered a “proxy” of TTIP. “It is not only a Canada-EU project. It is also a Washington project,” the expert said. “TTIP and CETA were implemented jointly, they weren’t separate initiatives, it’s one initiative,” he added. In Chossudovsky’s opinion, if the TTIP fails to reach consensus because people would say “We don’t want to be a colony of the United States,” and prefer CETA, it wouldn’t change much in terms of the EU dependence on Washington. According to the expert, both agreements would mean integration of NAFTA and the EU into a kind of Atlantic trading block and thus have serious geopolitical implications. “The European Union has certain dynamics. But once it is integrated to NAFTA, it may not be Brussels anymore. It might be just Washington which will be calling the shots,” the expert concluded.